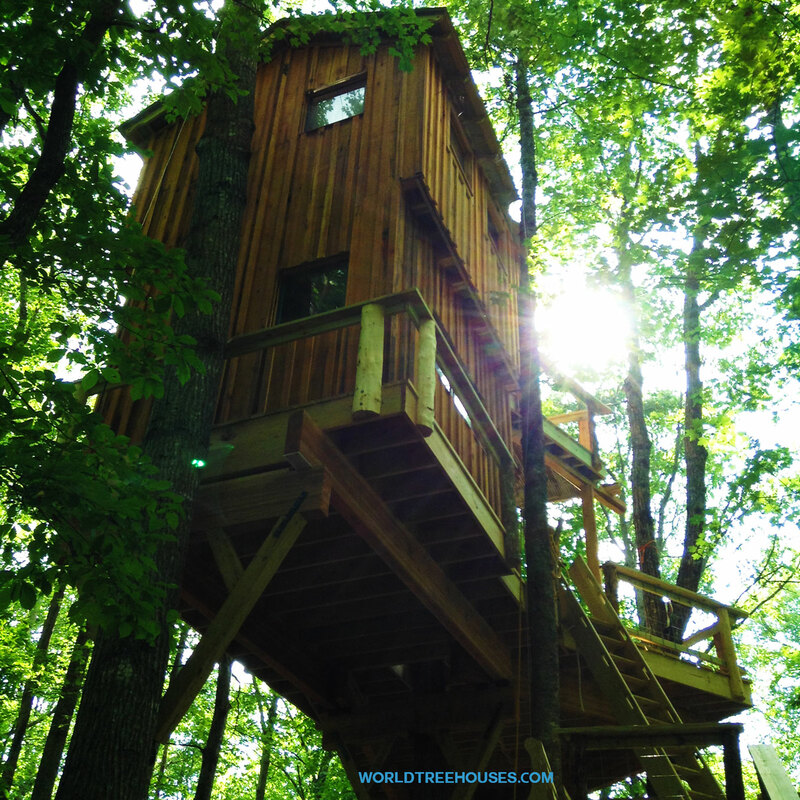 World Treehouses doesn’t just build in Asheville NC. 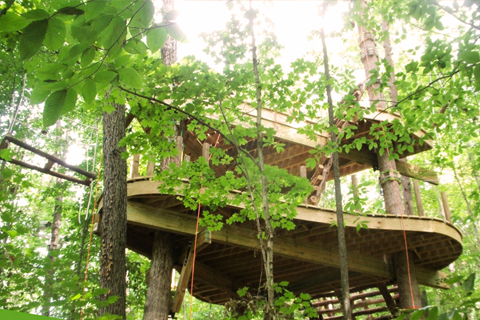 We just completed this two-story treehouse on a 1000-square-foot deck in an idyllic mountain location in Brevard NC. 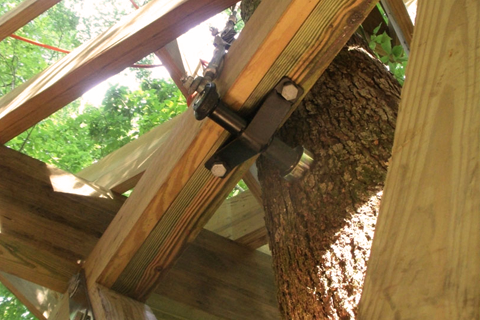 With giant beams and specialty treehouse hardware to keep the tree and structure safe, this is a fun job! 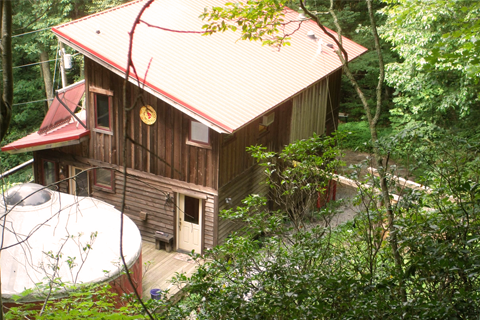 The first story of the house is 20 feet up, and the second is 30 feet above ground level, with a sky-reaching balcony. 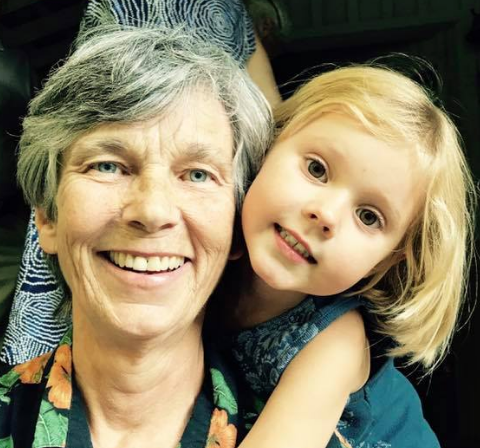 Our team had a great time on this build, and we really loved working with the family, who are now the proud owners of their own house in the trees. 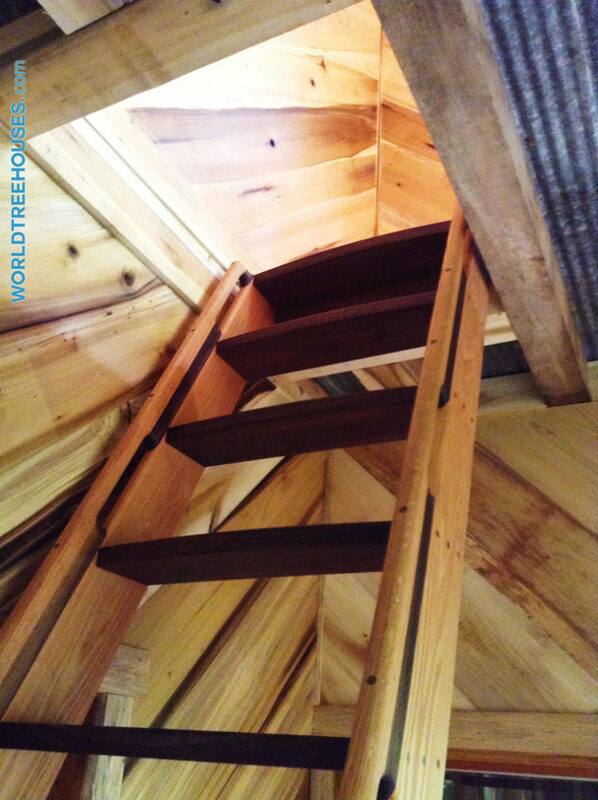 World Treehouses incorporated recycled materials into this Brevard treehouse, including reclaimed siding lumber, windows and metal roof. 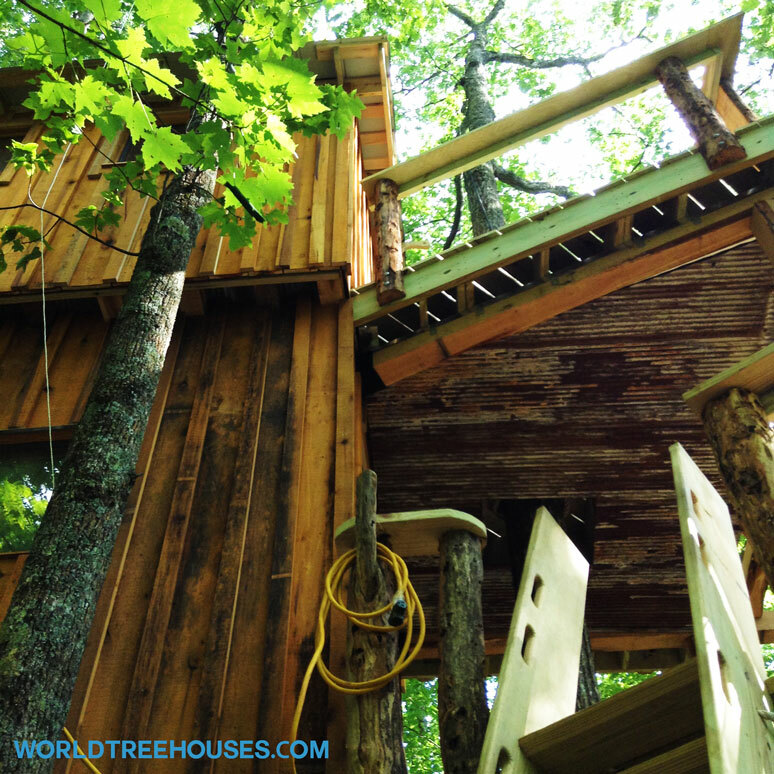 We just put finishing touches on the Brevard treehouse! 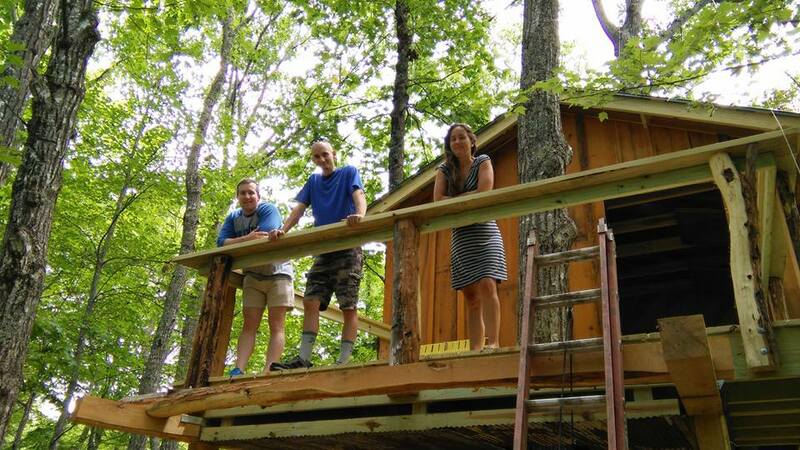 Proud family enjoys their new treehouse in Brevard NC! 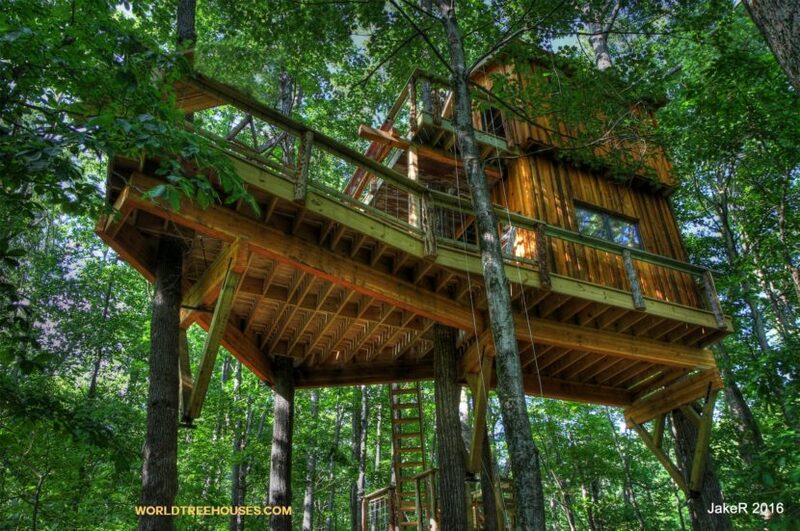 Built by World Treehouses. 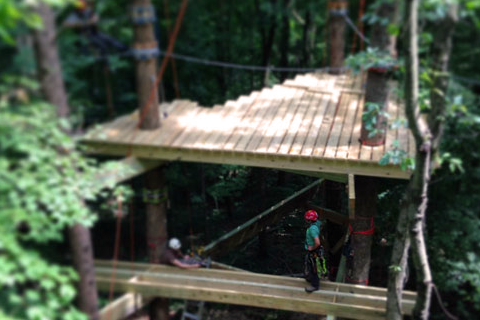 Our owner, Adam Laufer, and our team member Russell were featured at the site of our Brevard treehouse build on the nightly news on our local ABC station on 6/17/16! 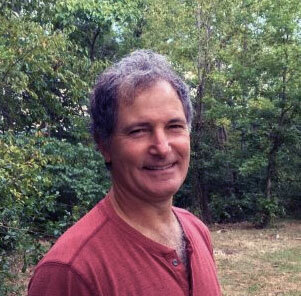 Come up the ladder to the second floor! 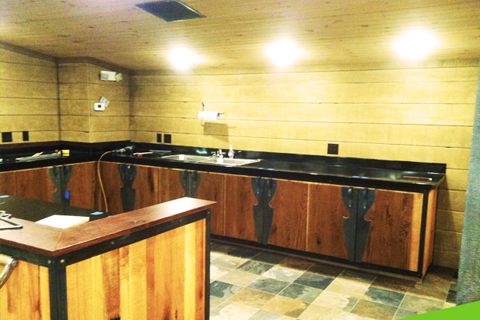 The interior is a showcase of special woods and fine craftsmanship. 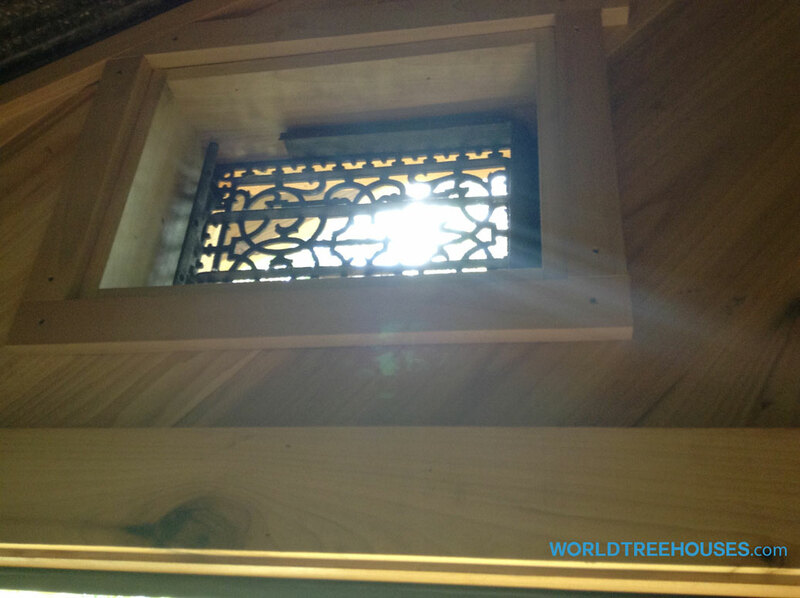 Special touches like this antique vent make the interior space magical. 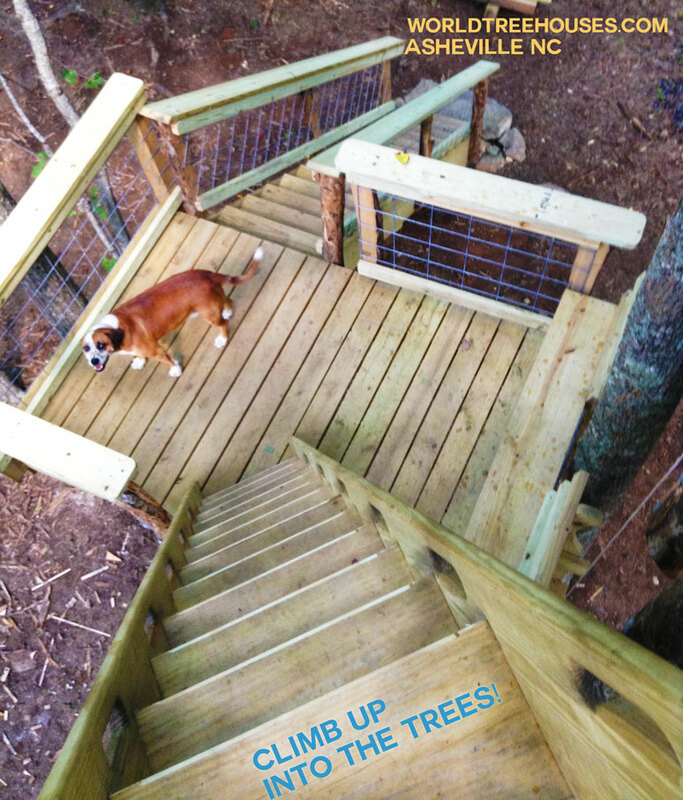 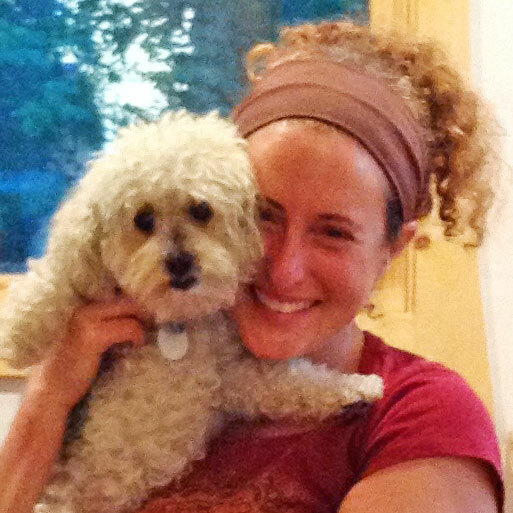 One of World Treehouses’ biggest fans, Bosco, considers the climb up. 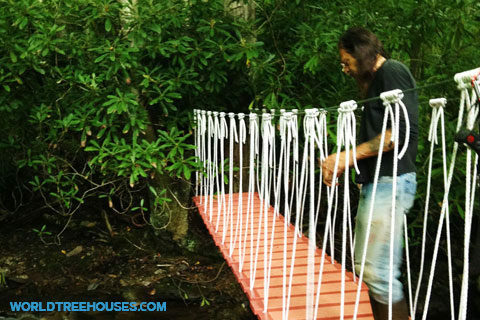 Asheville treehouse builder World Treehouses will build you your dream retreat in Nature. 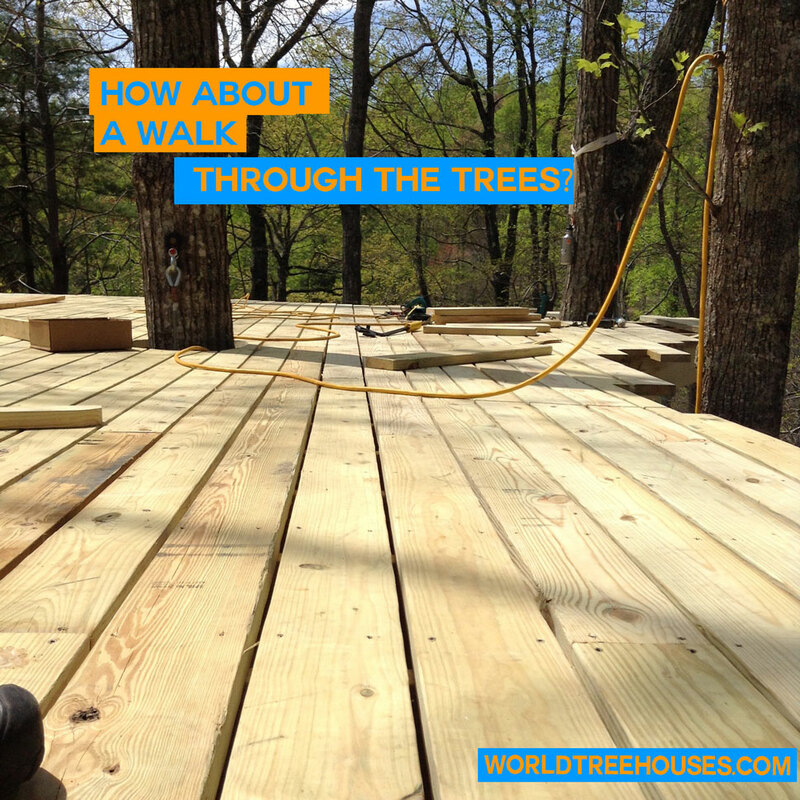 A treehouse for every need: experience the gifts of the Trees!